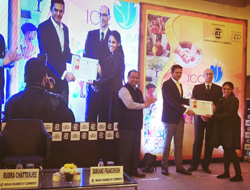 The Indian Chamber of Commerce (ICC), the premier body of business and industry in India and abroad organized the Social Impact Awards and Summit on January 11th 2019 at The Park in Kolkata engaging corporates, NGOs and non-profits to recognize the excellence of organizations in the sphere of social investment, CSR and sustainability across the nation. The awards were shortlisted on the basis of various projects presented by corporations and implementation partners focusing to make a positive impact towards social development. The Summit commenced with a panel discussion featuring multi-disciplinary participants comprising of Dr. Rajeev Singh, Director General, ICC, Ashwini Saxena, Chief Operation Officer, JSW Foundation, Dr. Naresh Tyagi, Chief Sustainability Officer, Aditya Birla Fashion and Retail Ltd., Brig. Rajiv Williams, Corporate Head – CSR, Jindal Stainless Limited Group, Gautam Ray – Executive Director, HR & Admin, CESC Limited, Anurag Pratap, Digital Incusion Leader, Capgemini, India, and Mr. Kaushik Sinha, VP & Head, CSR Magma Fincorp who debated the topic of “Creating Partnerships for Sustainability” moderated by Saikat Basu, Chief Mentor, Consultivo. The highlight of the day was an uplifting address by Hon’ble Minister, Women Development & Social Welfare, and Child Development of West Bengal, Dr. Sashi Panja who thanked the Chambers for acknowledging some of the impactful social development models of the country. At this unique felicitation ceremony, 68 shortlisted organizations presented their innovative and sustainable initiatives under the large, medium and small project categories of education, healthcare, child development, eradicating hunger and poverty, empowering rural population, environmental sustainability, social business projects and employability skills. 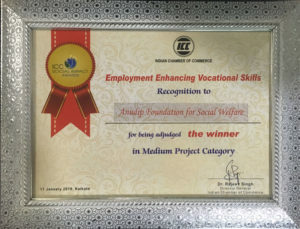 Anudip was declared the winner under the category of employability enhancing vocational skills for their service to hone Indian youth and women from the under-developed communities with digital, IT and entrepreneurship skills through its enterprising initiative, Digital Inclusion of Young Aspirants (DIYA). 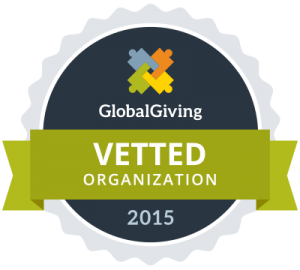 Anudip shared the platform with other leading corporations and philanthropic entities like Swadesh Foundation, Smile Foundation, SBI Foundation, Indian Oil Corporation, Capgemini, ITC, CESC, Lok Bharati Education Society, Aarohan, Ambuja Cement Foundation, and many others for their remarkable contribution to the Indian social welfare. The audience was treated with pertinent positive stories from all the honorees about the change they are fostering.